HOW TO READ BAR CODES AND AVOID HARMFUL FOODS! Home » »Unlabelled » HOW TO READ BAR CODES AND AVOID HARMFUL FOODS! Always read the labels on the foods you buy--No matter what the front of the box or package says, turn it over and read the back ---Carefully! With all the food and pet products now coming from China, it is best to make sure you read label at the supermarket and especially when buying food products. Many products no longer show where they were made, only give where the distributor is located. The whole world is concerned about China-made "black-hearted goods". Can you differentiate which one is madein Taiwan or China ? The world is also concerned about GMO (Genetically Modified Organism) foods; steroid fed animals (ex: 45 days old broiler chicken). It is important to read the bar code to track its origin. How to read Bar Codes ....interesting ! The origin of this warning actually dates back to 2007, when melamine poisoned milk products, pet foods and lead poisoned toys became a concern in China originating products. The message claims that one can easily find the manufacturing country and origin of food and pet products by reading the Bar Code printed on back side of the product. This way, the message claims that you can avoid the so called 'black-hearted goods' and Genetically Modified Organism (GMO) Foods coming from China. However, this is not a fact. 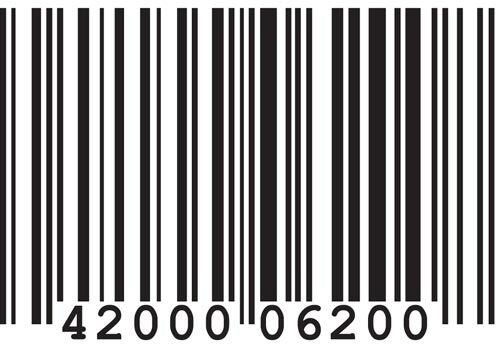 Bar codes are generally used to represent the data relating to the object on which it is printed, the food and pet products here. But it is important to note that there exist more than one system of Bar codes for retail products like these. Universal Product Code - U.P.C is one, EAN-13 European Article Number is other, and the less used EAN-8. So, it will be difficult to read and identify the country information of a food product from its bar code. The most commonly used UPC bar codes do NOT contain any kind of country identifier. EAN standard bar codes do contain country identifier, but those digits do NOT associate with the country of origin of the product, rather it shows where the bar code was registered. This means that a China Product that is sold in India can have country identifier of EAN bar code showing it as Indian product. It may be a case that in some parts of the world, they may use the country identifier prefix in bar codes to assign as their domestic products. But in general, you can not read the bar codes and identify the country of origin for sure. Instead of reading bar codes, the best way to know the country of origin of a food or pet product is to look for the label "Made in XYZ". This post was republished from claporslap.com. You can find the original post here.